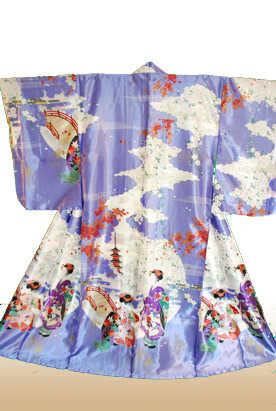 The motif of this robe is a traditional long-sleeved dress. 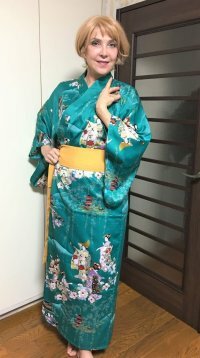 When you expand the sleeve, you notice one big and gorgeous picture of the beautiful "Maiko girls" drawn is in a romantic scenery in Japan. They are enjoying to see cherry trees in full blossom. One of the most popular article in this shop. 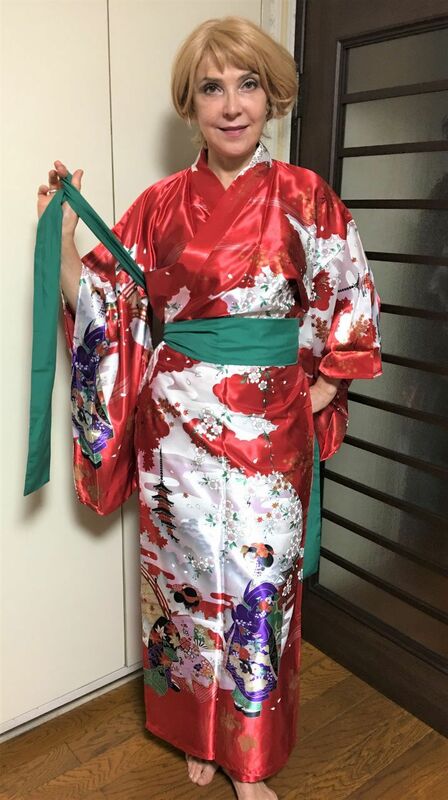 A green decorative belt is not included. 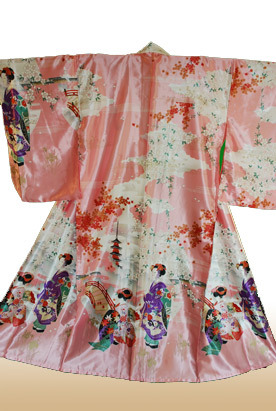 With long-sleeves, Japanese traditional sleeve style. 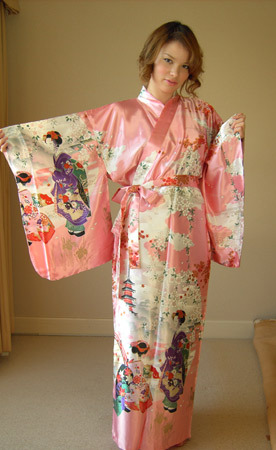 The material is lustrous satin. Easy-care fabric means you'll spend less time ironing. Ideal for travel, commuting. 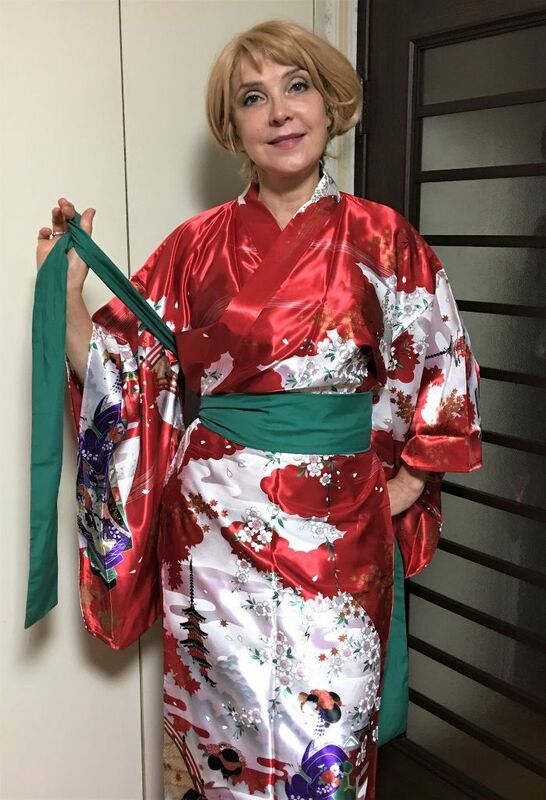 With the same fabric sash belt. One size fits most. 100% polyester. Machine wash cold or warm. Do not bleach. Drip dry. Needs no ironing. Keep away from fire. Designed and made in Japan.